Only one point separates this bitter rivals. Will Gattuso's men difficult Inter's UEFA Champions League hopes for next season? What has been Milan and Inter's form ahead of this game? Milan enters this game on a six-match streak without a loss, including their Coppa Italia tie against Lazio. The rossoneri have kept three clean sheets in Serie A games during that run, even though they were not able to do so in their 2-1 win against Chievo last week. Their late surge, combined with Inter's drop in form, has seen Gattuso's men leapfrogging their bitter rivals. Inter will have to worry entirely about Serie A games, following their UEFA Europa League exit. The nerazzurri side has only won three out of their last six in all comps. including losses against Cagliari (2-1) and Eintracht Frankfurt (1-0) just this Thursday. Their most recent away win took place over a month ago, with Spalletti's men beating Parma with a 1-0 score. What is Milan and Inter's position in the Serie A tournament? Milan gets to this competition in third place of the Italian Serie A. The rossoneri have won 14 of their 27 games, with nine draws and four losses completing their tally. With eleven games to be played, Gattuso's men seem to be far away from having a chance to fight for the Italian top-flight's title. Inter gets to this match in 4th place, having won 50 points in 27 games. The nerazzurri side has won one more game than their inner-city rivals (15), but they have lost seven games in the 2018-19 campaign. Added to that, Spalletti's men have drawn five matches. The nerazzurri have conceded one less goal than their bitter rivals. The previous meeting between these teams ended in a 1-0 win for Inter. Three of the last six dervies have ended in a draw. Milan has not beaten Inter since their 3-0 victory back in January 31, 2016. Inter enters this game on a five-game streak without a loss against their bitter rivals. Milan - Injured: Giacomo Bonaventura. Inter - Injured: Sime Vrsaljko, Radja Nainggolan, Miranda. Doubtful: Marcelo Brozovic. Unavailable: Mauro Icardi. In Italy: Sky Sport Serie A, SKY Go Italia, Sky Sport Uno, Sky Supercalcio HD, Sky Calcio 1. In the U.S.: ESPN+, Rai Italia America. In the U.K.: Premier Sports 1. 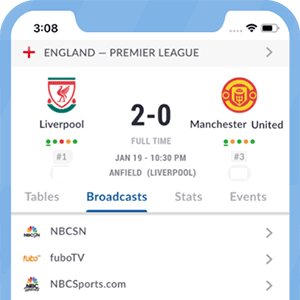 In Canada: TLN, Rai Italia America, DAZN. In Australia: beIN Sports 1, beIN Sports Connect, Kayo Sports, Rai Italia Australia.